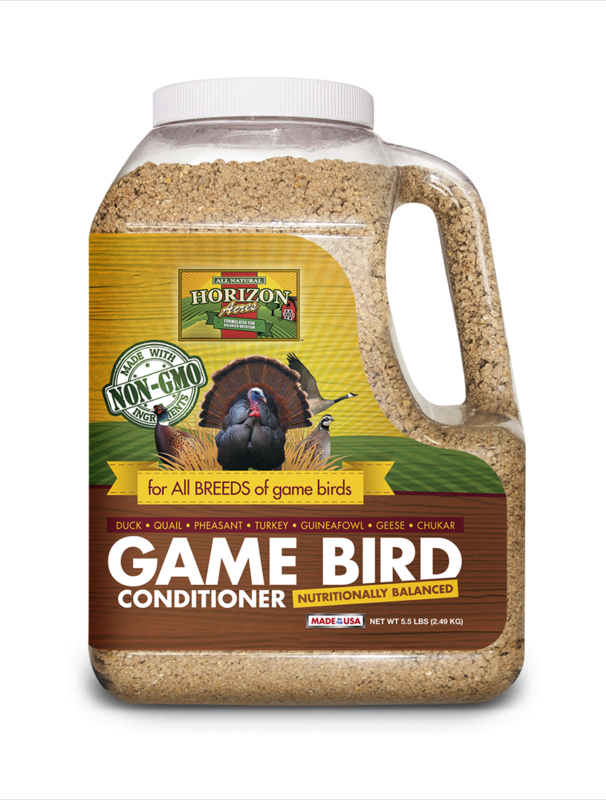 Introducing Horizon Acres Non-GMO Game Bird Conditioner! It does not contain any genetically modified ingredients, hormones or medication. It is naturally formulated for adult guineas, quail, pheasant, turkeys, ducks and geese. Vitamins, minerals and 16% protein are combined with all natural ingredients to provide a balanced, wholesome diet for your mature birds. 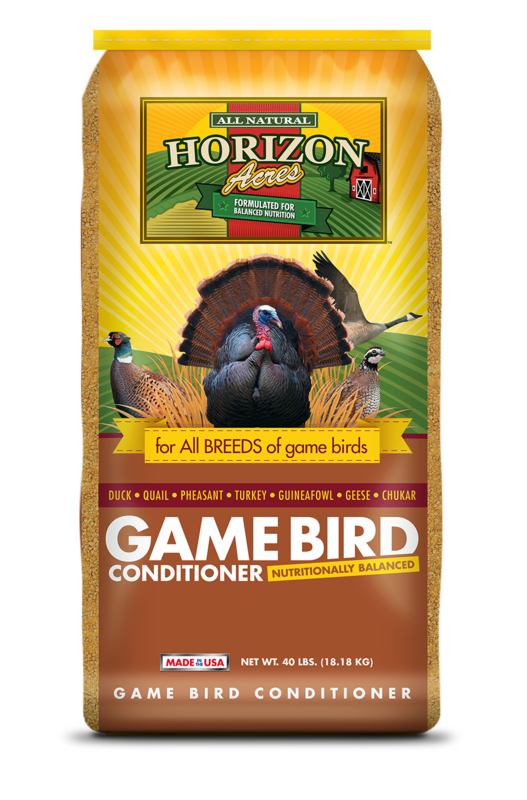 Horizon Acres Game Bird Conditioner is formulated for growing guineas, quail, pheasant, turkeys, ducks and geese 7 weeks and older. It is a complete feed, there is no need to supplement. Feed your birds free choice for best results. Our formula is made from ingredients grown by Midwest farmers. Vitamins, minerals and 16% protein are combined with all natural ingredients to provide a balanced, wholesome diet for your mature birds.